Now, what's with the software review on the GSM Arena homepage, you might ask. Well, last week you could have said that for Blackberry as well. We guess it's time for another first. 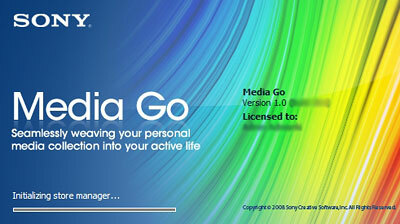 Today however we're getting a closer look at Sony Ericsson's Media Go desktop multimedia management software. Back in February Sony Ericsson promised to revolutionize the way users transfer and consume video on the company's feature phones. The newly announced Media Go multimedia manager not only keeps your music in order, but it also crunches every multimedia file you throw at it to a format that's easily digestible by a regular mobile phone. Media Go did cause a lot of commotion in the comments section of our recently published Sony Ericsson W995 review. It's the first phone to come bundled with Media Go and some users felt that we didn't stress enough on the potentially overwhelming capabilities of this new software. Well, truth be told, we didn't really think such software is the kind of feat to write home about, so we just didn't share that enthusiasm. But guess what what we did as soon as we acquired a working beta copy of Media Go. That's right, we went writing about it. 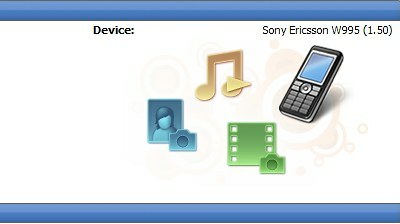 Our first surprise with the new piece of software is that it's actually branded by Sony, and not Sony Ericsson. Perhaps, this will only be true for the beta version of the software, we are not really sure yet. On first launch Media Go surely felt like a Sony commercial product. Much like the other Sony commercial products we've seen, you have to enter the supplied serial number and register with the Sony, in order to use the application. Once that we were beyond the registration process, the software loaded up and was ready to roll. We connected our Sony Ericsson W995 and we were presented by the last surprise for the day. Media Go cannot connect to the phone straight out-of-the-box. As it turns out, Media Go won't be substituting the regular Sony Ericsson PC Suite despite our expectations. Instead, both applications should be installed on your desktop computer, as PC Suite is the application that actually takes care of the needed USB drivers, etc. After we sorted that out as well, it was time to finally take a deeper look at the new Media Go application and the way it's put to use by Sony Ericsson phones. Join us on the next page, as we explore it. Did you solve this problem? i have the same one and have no idea of what to do.